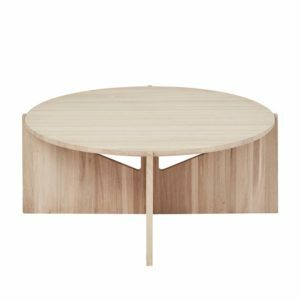 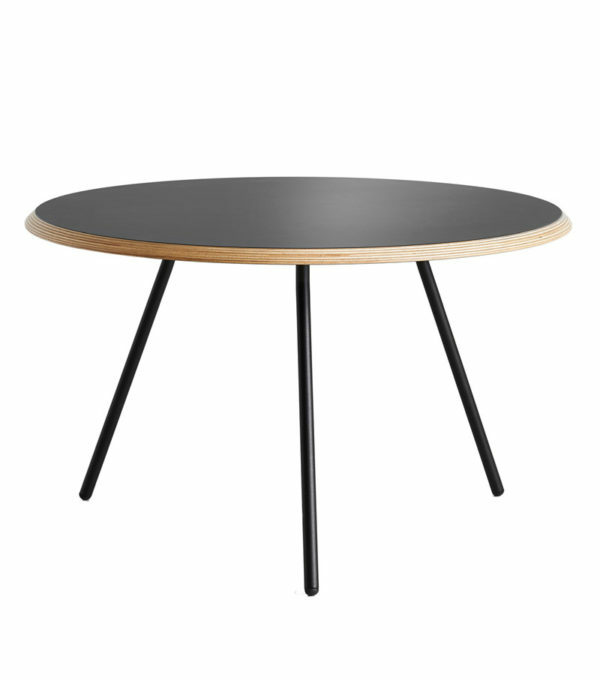 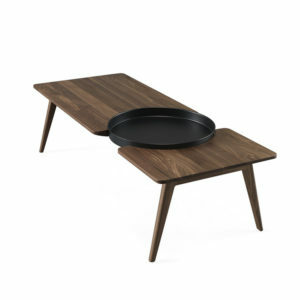 Soround Side Table for WOUD is a simple, sleek and modern take on a coffee table. The construction with the softness of the circular table top and the elegant black table legs forms a new interpretation of the classic coffee table. The Soround coffee table comes in two sizes, heights and materials. 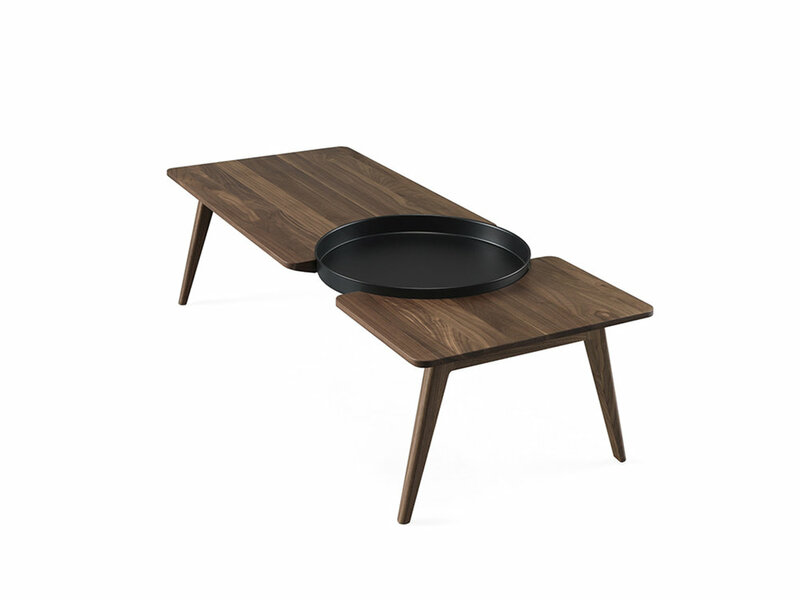 The table top is available in a black version made from Italian plywood with a Nano treated Fenix laminate, which gives Soround an ultra matte and smooth look. Soround is also available in a grey version made in a light grey fibre concrete with a high polish for a soft look. 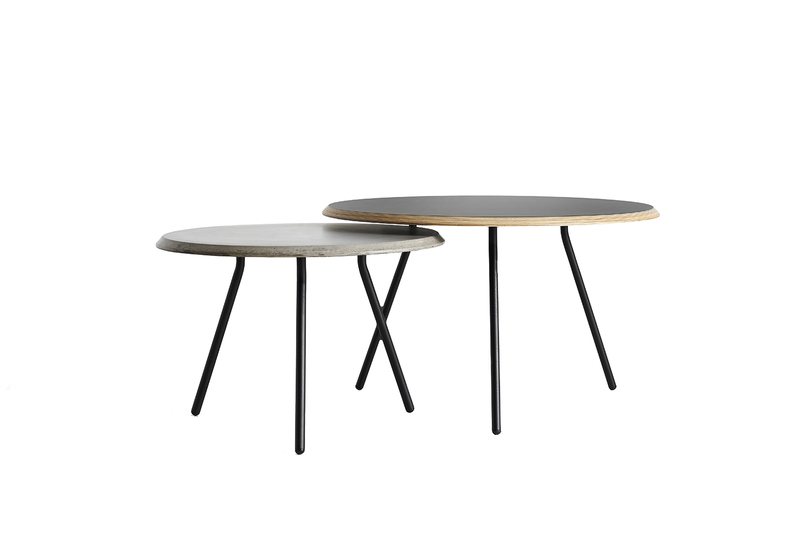 Legs – powder coated metal. 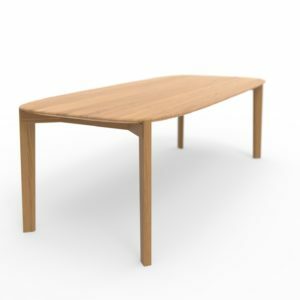 Top – plywood with Fenix nano treated laminate. 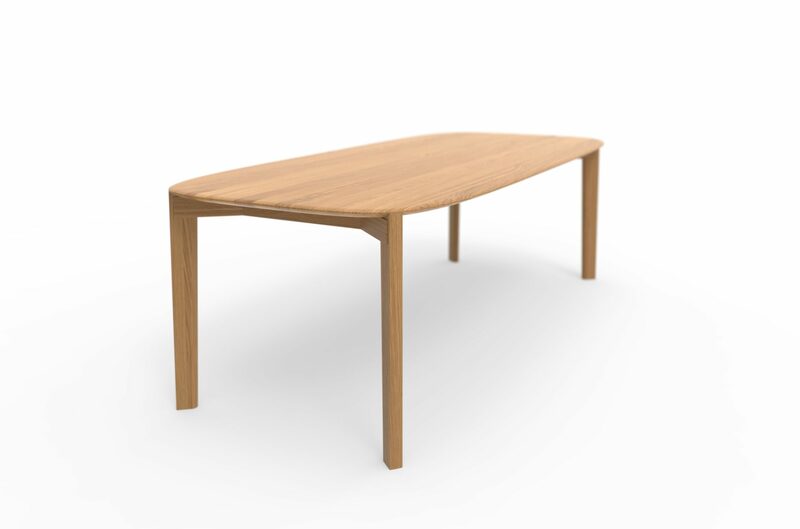 Contact FLOC for a quote.